The multicultural and alternative township of old remains vibrant today. 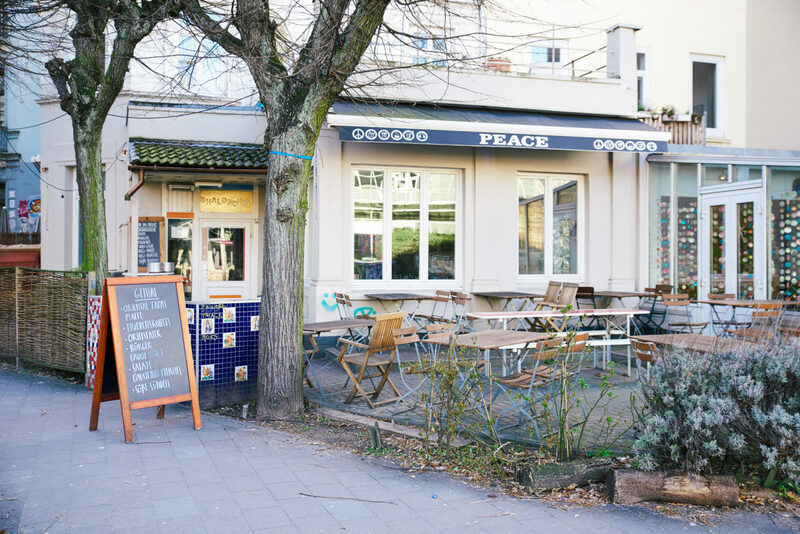 In the so-called “Karoviertel,” artists and thinkers live alongside old sea dogs and young families. The heart of the district is Marktstraße, today connected to Sternschanze by a bridge. Here you’ll be tempted to wander around cafes and quirky little shops. Identity is a central theme in her work and it is something she sees as being in perpetual flux. It is constructed by the things you consume: books, films, fashion, people, and culture are all found in cities. For this reason there are just as many different versions of Hamburg as there are people who live there. What does Moshtari’s Hamburg look like? Here’s what she showed COMPANION on this district tour. “This is a route for people who don’t like to walk,” laughs Moshtari as we set off on the short stretch from the last corner of the Schanze over the railway bridge and into Karolinenviertel—the actual destination of the district tour. First stop: Nachladen, a shop owned by the creative collective who call themselves Sternstunden des Kapitalismus (Great Capitalist Moments). Moshtari says, “Nachladen is one of the few shops in Hamburg selling good quality independent publications, comic art, and graphic novels.” Their offerings include many zines. One example is Kratermenschen by Moritz Stetter, a magazine full of drawings depicting well-known figures with craters in their faces. You could already spend a whole afternoon just in Nachladen. 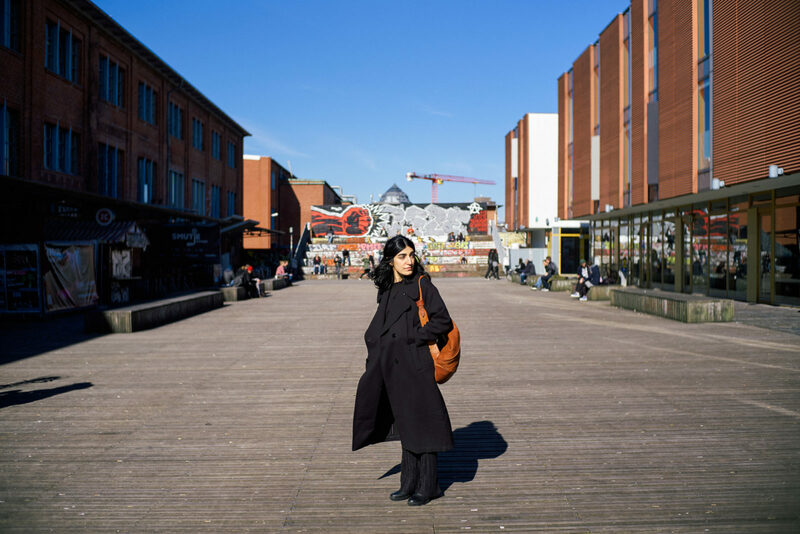 Over the railway road and into Karoviertel—Moshtari’s favorite place in Hamburg. “Today the area is changing but the same is true everywhere,” says Moshtari, who has known the neighborhood since she was a child. “Many of the shops that used to be here are gone and have been replaced by new ones. That is sometimes a good thing.” This is the case with Bluesleeve, a concept store for Japanese designers like Yohji Yamamoto, Comme des Garçons, and Issey Miyake, which opened in 2015. 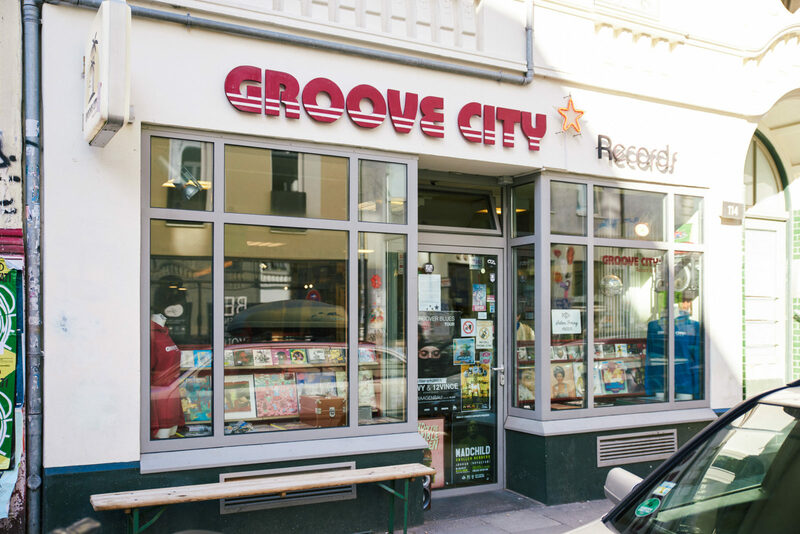 This is where key players from Hamburg’s creative scene like to go. Alongside sought-after vintage finds, they find Asian porcelain, works of art, and interior design objects. Those who don’t want to buy anything come for a chat: Bluesleeve is more than a shop, it is a gathering place for people interested in fashion and art. A district tour with artist Moshtari wouldn’t be complete without a trip to an exhibition. The Galerie der Schlumper is also on Marktstraße and is run by a namesake studio community of artists, founded in 1980. 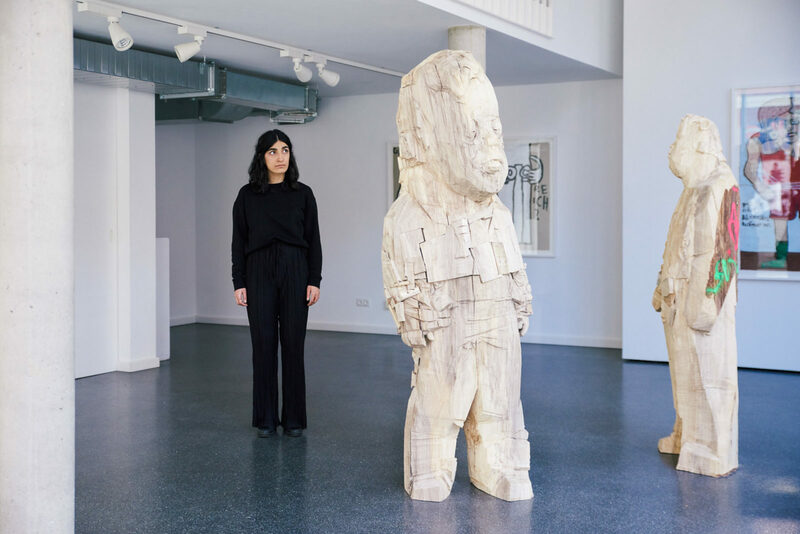 The artists, who have various disabilities and individual approaches to art, exhibit their works in bright rooms fronted by an inviting large window. Moshtari remarks, “I like the social approach of the Schlumper just as much as the exhibited artworks.” It consciously doesn’t look like a non-profit cafe and artists without disabilities are also invited to exhibit their works here. Good art should be presented in a good way – regardless of who has created it. Incidentally, Schlumper is always looking for patrons to support their efforts. All this walking has left us feeling hungry. And Moshtari’s favorite place to eat when out and about in Karoviertel is Peacetanbul. The name makes it clear that the restaurant has ties with Turkish cuisine as well as ambitions of creating harmony between cultures. Upon arrival, you’re greeted by a cheerful “Shalom” at the door, and as you head inside, you are met with equally cheerful stones, tiles, and mirrors adorning the café’s interior. “Multicusine” is the motto. In Peacestanbul, Mediterranean dishes are combined with American classics. The results include a Turkish burger with lamb, goats’ cheese, or middle eastern meatballs. Also highly recommendable are the grape leaves and the spicy vegetable pastes. And with a refreshing glass of homemade soda in hand, a day spent discovering Hamburg comes to the perfect end. For more info about Moshtari and her great work, visit her website or check out her tumblr. This story was originally published in Companion #10, a magazine produced in collaboration with 25Hours hotels. Find more Companion stories here. You can also find more FvF city guides here.